Design Class for the Future of Landscape Design in America « John Bartram Lives! My amanuensis was far afield this week. 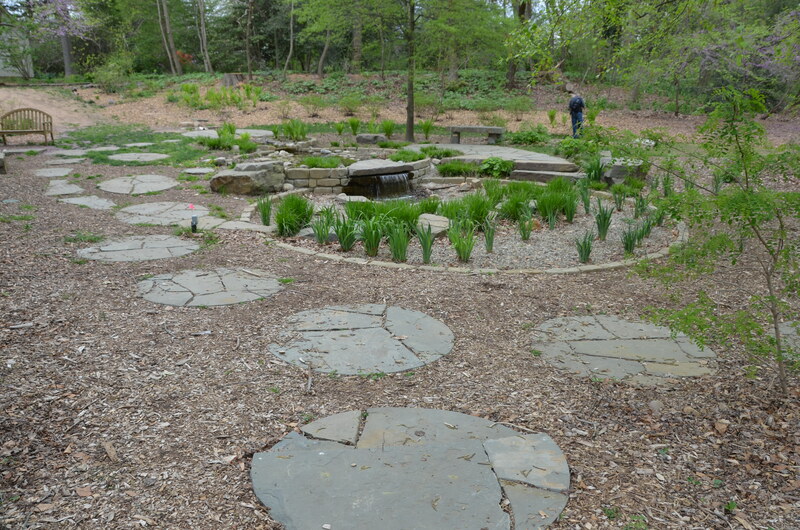 His presentations at the New Jersey Landscape Design School were focused on the future of the art Landscape Design into the Future and the practice of Sustainability. http://njclubs.esiteasp.com/gcnj/landscape_design_school.nxg The classes are held over two days with a third day devoted to study and an examination that tests the student’s retention of the material. Mr. Brown’s passion for the subject of saving the world leaves me somewhat perplexed. He talks a very good game but a slide on the uses of “The Little Green Bag…” will not go far to solve the problem of what’s been defined as Global Warming. The Little Green Bag was a subject of some heated discussion. 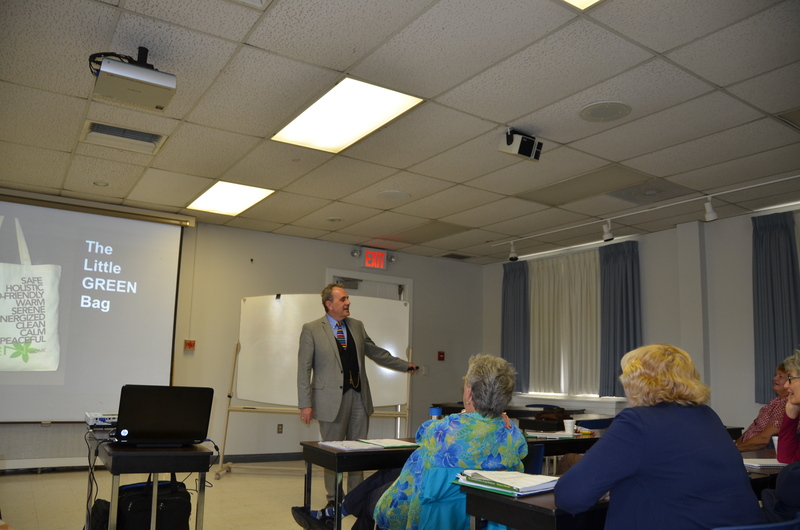 His presentations were on the second day for the education of a group looking to become certified in their love of gardening. I congratulate them on their dedication. 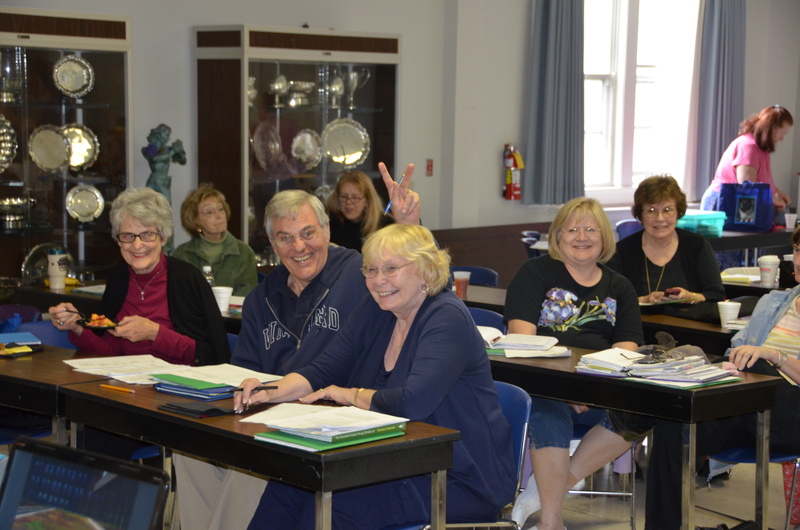 The search for continuing education in the world of botany is a far-reaching one. It is education that will return a restorative sense of health and well-being to seeker. I am a living testament to its life-giving qualities. Audience response was varied to "Sustainability and the American Dream." this response was unexplained at press time. Denise and Eric Mattes are a husband and wife team of Landscape Architects who began the second day of the event with back-to-back, hers-then-his presentations on the history of their profession since the second world war. His talk gave illumination to the practice of the science of recent design architects in a contemporary idiom. The Mattes team of landscape architects presented history of the art and science of the craft since WWII. 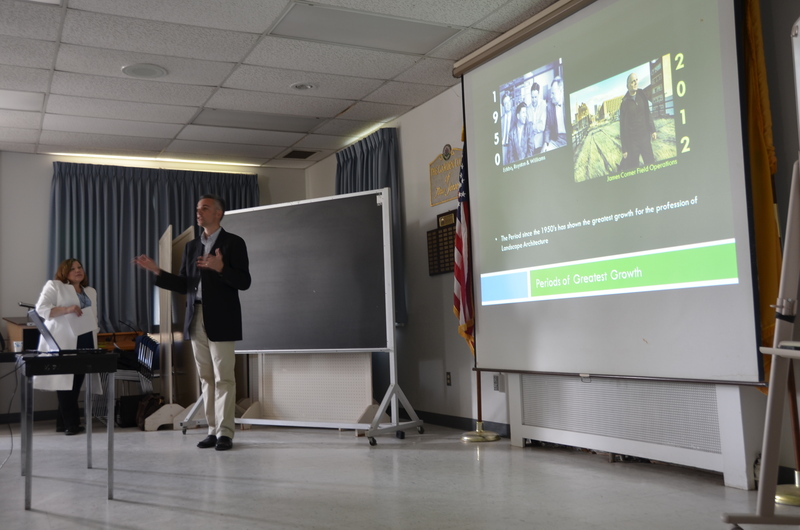 Bruce Crawford, Director of Rutgers Gardens, delivered a brilliant close to the proceedings with his discussion of the relative growth and development of arboreta in America. http://rutgersgardens.rutgers.edu/director.html He demonstrated an almost life-long commitment to his own garden. 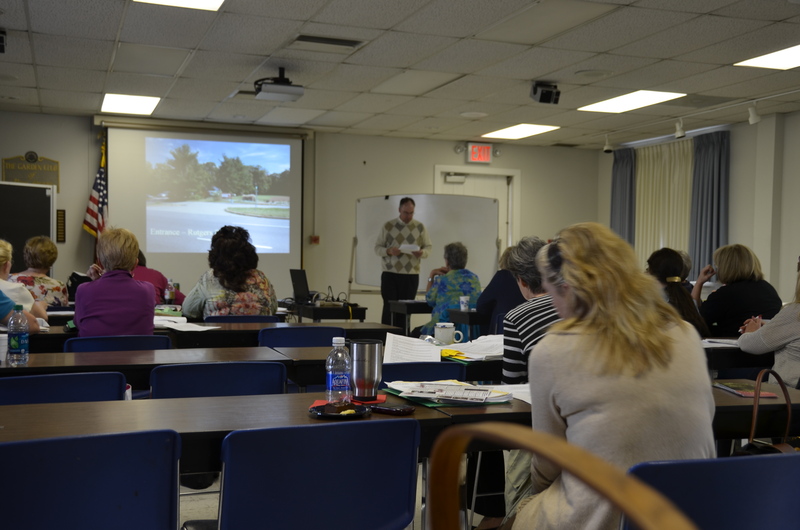 Bruce Crawford wrapped up the day with a discourse on developing "Community" around a botanic garden. I had been with him on many previous occasions when his connection was an almost palpable topic in his speech. His garden is growing and changing. He is connecting with a wider community and using the examples of many other spaces to develop his own sense of place and space. 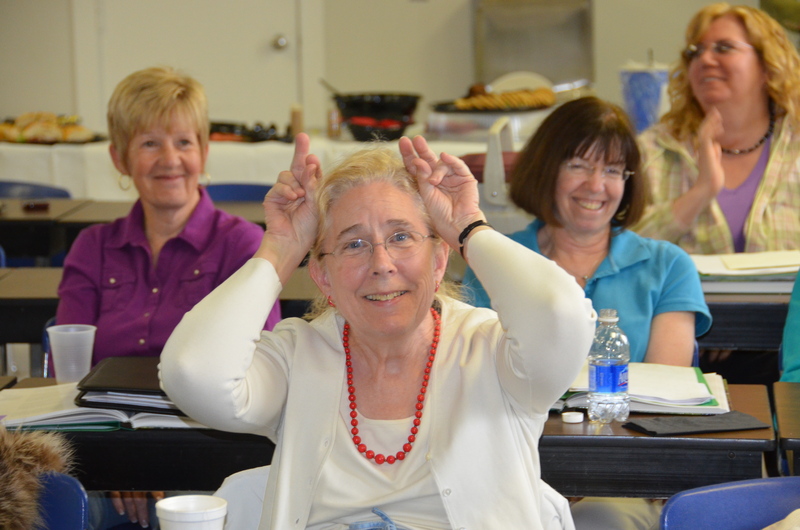 The audience seemed to enjoy all of the presentations on the last day of the design school. I struggled all of my earlier life trying to connect people to my botanic garden. I recognize a similar vitality in the work that Bruce brings to the green spaces at Rutgers Gardens. 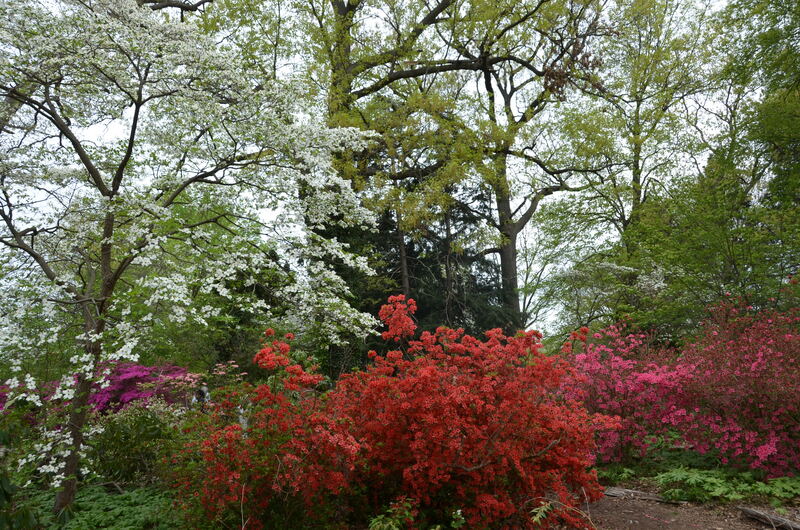 The Rhododendron Collection was at the height of its seasonality. Beautiful color. 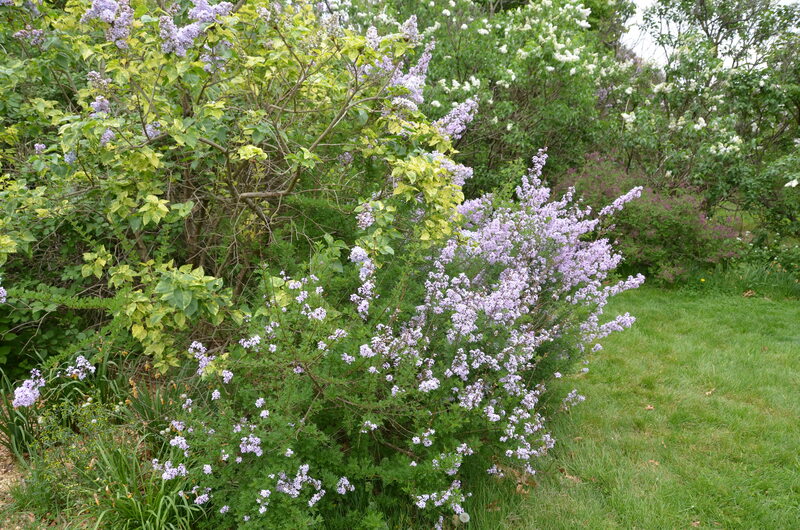 The Lilac Collection added another texture to the garden plantings: that of the sense of smell. 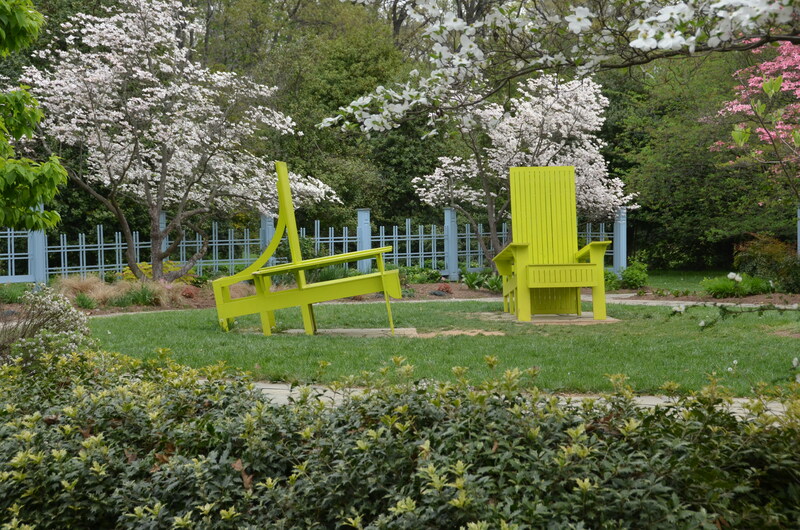 Time was scheduled during the day to take advantage of the beautiful spring weather and get some photos of the changes that have been wrought in the garden’s many rooms. The hardscape that’s been added has expanded the bones of the spaces. The new rain garden http://rutgersgardens.rutgers.edu/RainGarden.html was an exciting new space that connected the sustainable theme of the day with the reality of green in a garden. 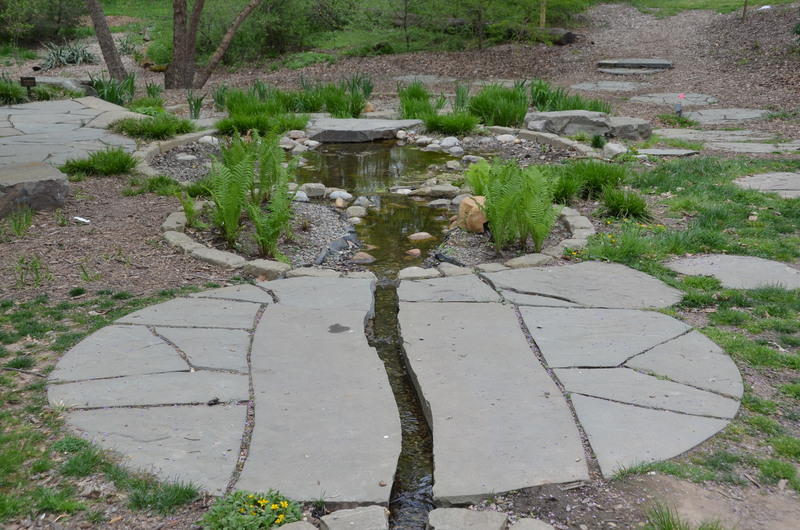 The new rain garden makes contemporary sense and adds remarkable sustainability as a topic on the design table. The bluestone paving in the rain garden adds elements of texture, line, form and space to the overall design achievement. It was a stunning day for an appreciation of the art of garden design and the growth and development of a public green initiative. Congratulations for the success of the planning goes to Nancy Schmaltz and her dedicated crew of volunteers. 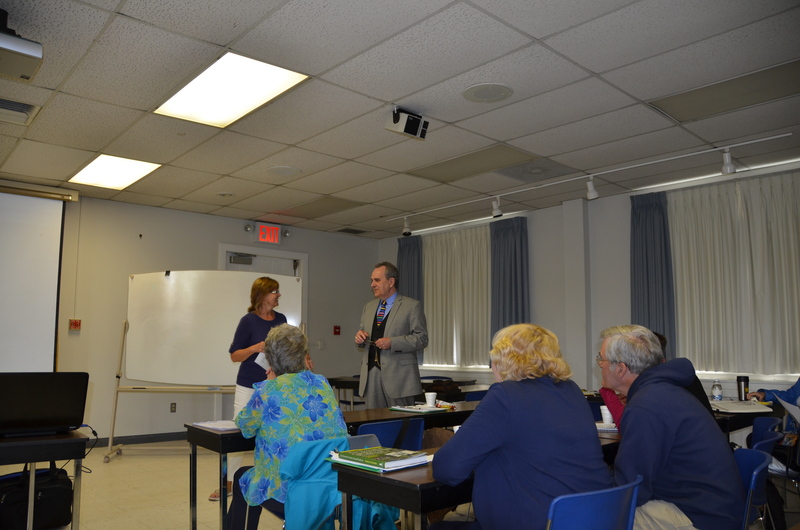 Nancy Schmaltz introduced my amanuensis, Kirk R. Brown to the participants in the New Jersey Landscape Design School. « A Many Centenary Birthday!